Paperback, 6.5 x 9.5 in. / 144 pgs / 50 color. On Curating, Carolee Thea's second volume of interviews with ten of today's leading curators, explores the intellectual convictions and personal visions that lay the groundwork for the most prestigious and influential exhibitions in the world today. Among the aesthetic and theoretical issues raised are the relationship between artist and curator, globalism, post-colonialism, capitalism, the future of cultural tourism and the biennial as spectacle or utopian ideal. As Thea notes in her introduction, "the biennial or mega-exhibition--a laboratory for experimentation, investigation and aesthetic liberation--is where the curators' experience and knowledge are tested. As they negotiate venues for artistic expression, intellectual critiques and humanistic concerns in their own societies and others, they are challenged by the certainties and uncertainties of a constantly evolving future." Thea's interviewees are Joseph Backstein, Carolyn Christov-Bakargiev, Okwui Enwezor, Charles Esche, Massimiliano Gioni, RoseLee Goldberg, Mary Jane Jacob, Pi Li, Virginia Perez-Ratton and Rirkrit Tiravanija. 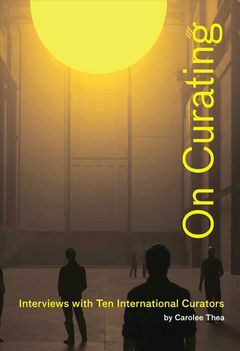 On Curating also includes 50 color illustrations of relevant works by (among others) Kutlug Ataman, Tamy Ben-Tor, John Bock, Cao Fei, Olafur Eliasson, Isaac Julien, Francois & Philippe Parreno, Yvonne Rainer, Michael Rakowitz, Doris Salcedo, Allan Sekula, Yinka Shonibare and Francesca Woodman. Carolee Thea is a curator, critic, art historian and independent scholar. 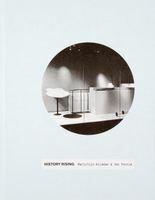 Her first book, Foci: Interviews with Ten International Curators was published in 2001. She is contributing editor at ArtAsiaPacific and Sculpture magazine and was the English editor of Atlántica 45. 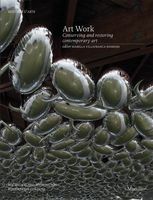 Her articles, reviews and interviews have been published in many arts journals, among them Parkett, Artforum.com, The New Art Examiner, Modern Painters, Artnet.com, ZSijue 21 Beijing, Heresies, Tema Celeste, Parachute and ArtNews. 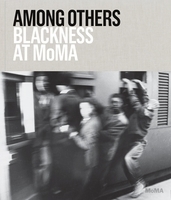 "This book is a wonderful example of curatorial polyphony in the early twenty-first century. Polyphony in music is the confluence of multiple voices, independent melodies woven into counterpoint. 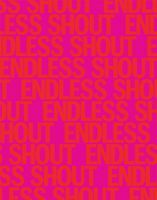 The curators in this book have internalized the urgency to generate a situation receptive to complex spaces combining the big and the small, the old and the new, acceleration and deceleration, noise and silence. To change what is expected…"
Hans Ulrich Obrist excerpted from the Foreword to On Curating. TO READ AN INTERVIEW WITH CAROLEE THEA ABOUT THIS PROJECT, PLEASE VISIT BOMB MAGAZINE'S BLOG. FORMAT: Pbk, 6.5 x 9.5 in. / 144 pgs / 50 color.